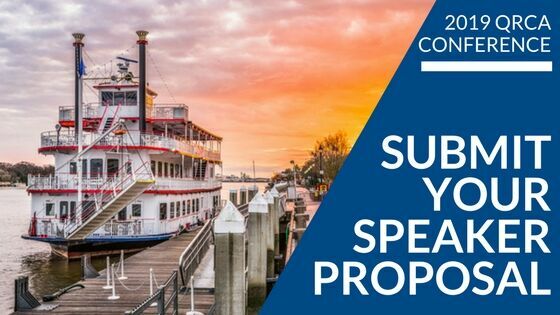 The 2019 QRCA Conference Call for Speaker Proposals is here. The most important aspect of any conference is its content, and you can make the 2019 QRCA Conference the best.one.yet! Have someone in mind who would be a great speaker? See you in Savannah January 30 – February 1, 2019. Head to QRCA.org/2019 for more! In 2018 we shook things up a bit and had the three finalists present their proposals in front of a live audience at the 2018 QRCA Annual Conference held in Phoenix, AZ. In addition, Hatchtank sponsored the award and provided a text-based voting platform where nearly 200 fellow Quallies participated in selecting the winning presentation. Lauren McCrae and Nicole Aleong from Lux Insights took home top honors this year with their winning methodology titled, “The Curation Quotient.” Read their bios and download their submissions here. Is there a research project that you have been thinking about for a while but just can’t seem to bring to life? It’s time for an updated approach to an old research answer. You have been wanting to know the answer to this question and just can’t seem to get it! Quallies who wish to submit a proposal in response to our RFP are limited to a page count and are instructed to omit things like recruiting specifics and budgets. The focus of the proposal is how you creatively problem-solve the research objective. Keep this in mind as you think about potential RFP ideas. If you’ve got ideas you would like to share, head over to the Qually Award page on the QRCA website. There is a short form to fill out and more details about the award, and you can check out past winners, too. Reach out with any comments, thoughts, or need-to-know specifics to the award co-chairs: Kayte Hamilton at KHamilton@issans.com or Tory Gentes at Tory@factorysmt.com.